As we come up to the 6th position of the Zodiac chart focusing on Virgo, the sign symbolized by the virgin; modesty plays a big part in their character as well as their style choices. This is a sign that is very modest, practical, shy, and reserved so when it comes to their fashion choices they tend to play it safe. Virgos like to look very well put together so they tend to seek fashions that work well together as a whole. Simple accessories that will complete their overall look and contribute to completing their overall appearance are what they seek out. They love subtle and feminine accessories. Once again, lending my expertise as an Independent Stylist for Stella & Dot, I would love to assist you lovely Virgos out there (or anyone looking for gifts for your Virgo friends/significant others) with some lovely options from our line. First up I would suggest the Aurora Necklace. This piece makes an amazing gift. It’s simple and comes in silver or gold. The Aurora is also one of Stella & Dots versatile pieces which means it can be worn 2 different ways. When you need to be a little more fancy, wear it showing off its beautiful yet subtle pavé sparkle or when you want to dress it down wear it on its sleek shiny side. This was actually the first piece I purchased from the line before I ever became a stylist. It’s what drew me to the line. It’s also a great piece for layering other necklaces. The best part, the price! To match the Aurora necklace, Virgos would definitely love to match it with our Aurora Stud Pack Earrings. With 3 different options of studs to choose from you really can’t go wrong. Simple, yet elegant, Virgos will love the way these studs help really bring their accessories look all together and match very nicely. Also, there’s the price! Another great versatile necklace for Virgo would be the Element Necklace. Not only is it a super stylish necklace that can be worn 3 different ways, but it is also blue (which is the color associated with this sign). This is definitely a power necklace for Virgos. Pair it with our versatile Deja Vu Stone Studs to complete the look and you can’t go wrong! If you’re looking to really round out your outfit with a few more accessories I would suggest some of my simple favorites from Stella & Dot; our Pavé Wishing Bracelet (available in silver or gold) and if you want some ring bling I LOVE the Pavé Chevron Rings (Also available in silver or gold). Any of these are great in price which is a big plus. They make excellent gifts for anyone. 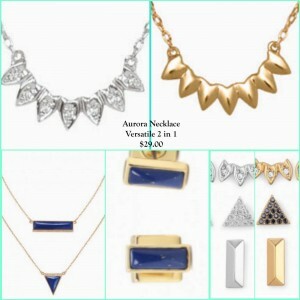 Virgos and anyone else can head to www.stelladot.com/sites/erinbradshaw and check out these styles and more. 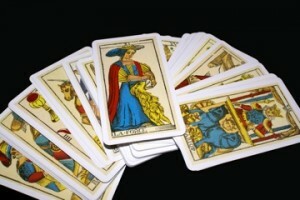 We’re PsychicsForetell.com, the most trusted source for the best psychics. We offer live psychic phone readings as well as love, finance and career horoscopes. Disclaimer: Blog contents express the viewpoints of their independent authors and are not reviewed for correctness or accuracy by PsychicsForetell. Any opinions, comments, solutions or other commentary expressed by blog authors are not endorsed or recommended by PsychicsForetell or any vendor. If you feel a blog entry is inappropriate, click here to notify PsychicsForetell. If your shelves are not stocked with objects of art representing frogs, eagles, cats, horses, elephants, or any other creature in particular, then perhaps the simplest method of acquiring a totem animal–other then being born with an animal surname– is to accept the symbol of your birth sing as your spirit helper. Of course, those of you who know that your birth sing is Gemini, Virgo, Libra, Sagittarius, or Aquarius are already complaining that you have no animal representation. Great Spirit provided me with animals to fill this gap. It is, of course, up to those who are born under those signs to accept or reject the totems revealed to me– but remember, you had none before. If the animal designated as yours by virtue of your birth sing intrigues you but still leave you a bit uncertain check any animal dictionary for additional information about that particular animal. Aries, The Ram: March 21 to April 20. Taurus, The Bull: April 21 to May 21. Gemini The Dolphin: May 22 to June 21. Cancer, The Crab: June22 to July 22. Leo, The Lion: July 23 to August 23. Virgo, The Lamb: August 24 to September 22. Libra, The Owl: September 23 to October 23. Scorpio. The Scorpion: October 24 to November 22. Sagittarius, The Horse: November 23 to December 21. Capricorn, The Goat: December 22 to January 20. Aquarius, The Eagle: January 21 to February 19. Pisces, The Fish: February 20 to March 20..
Next week : Native American Zodiac. The Major Arcana of the tarot are all of those cards with big, fancy titles. The Emperor, Death, The Tower, the Sun, Temperance, etc; all fall into the same category. 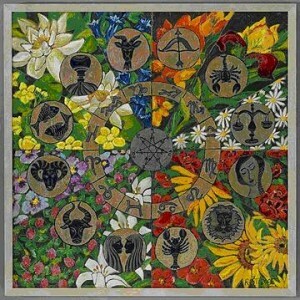 There are 22 Major Arcana cards, and each one corresponds either to an element, a planet, or a Zodiac sing. It will be the Zodiac sing that we will pay particularly close attention to, at first. My sign, for example is Pisces, which corresponds with the Major Arcana card entitled – The Moon. For the first card corresponding to your birthday, simply check out this list. Aries – the Emperor, Taurus – Hierophant, Gemini – The Lovers, Cancer – The Chariot, Leo – Strength, Virgo – The Hermit, Libra – Justice, Scorpio – Death, Sagittarius – Temperance, Capricorn – The Devil, Aquarius – The Star, Pisces-The Moon. All of the cards which are assigned numbers and objects, Such as the 4 of Pentacles or the 6 of Coup’s, fall beneath the banner of The Minor Arcana. Occultists and astrologers will regularly reference the influence of the four elements — .fire, water, air, and earth. As you may have noticed, there are four different suits found in The Minor Arcana. As such, they correspond to the four elements as follows: Fire – Wands, Water – Cups, Air – Swords, Earth- Pentacles, (Known as Disks or Coins in certain tarot decks). Discriminating, thoughtful, and particular, Virgo often seems aloof and reserved. However, those born under this sing harbor a deep inner sensitivity. Your emblem is the Virgin, suggesting purity and humanity. Your planet is the cosmic communicator, Mercury. Wednesday is your luckiest day each week for making decisions and starting new ventures. Springs earliest days find partnerships accented, allow others to express individuality while discussing plans. Remind yourself to be tolerant. You can learn a great deal by being a good listener. Friends suggest worthwhile plans and ideas. Become active in groups and community matters. Career situations can be frustrating through the summer solstice, but don’t change jobs. Double-check direction and be patient. A problem is resolved near August, and the stars favor a retreat and contemplation. A solitary walk in the wilderness or time spent in reverie with just a few companions helps you to heal and focus. August 6-29 finds Venus brightening your personal life. Your artistic talents are in top form. Practice playing an instrument or create a drawing. Your sense of style and people skills are also excellent. Network. Nurture a promising new relationship. September begins with emphasis in your money sector. You will work hard for security. Thoughts mostly revolve around earning power. Shop for an item you have long coveted in the days before. The earned- for treasure may soon be your own. Until mid- October study your habits regarding money. Keep receipts: a purchase might have to be exchanged. 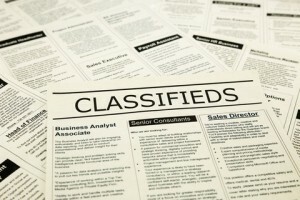 You could return to an old job or revive a skill that was lucrative in the past. As All Hollows nears your home and family takes precedent, bonds with loved ones intensify. It is a wonderful time to repair or improve a dwelling. During the chill of November evenings simmer a harvest vegetable stew to serve guests. Towards the end of December your sector of romance and happiness will be emphasized. A very joyful cycle regarding your social life commences. If you have dreamed of pursuing a new avocation or hobby, now is the time to do so. You may meet with unexpected success. As Yuletide approaches a residential move is possible. There can be some stress involving relatives. Differences are resolved through discussion or letters. 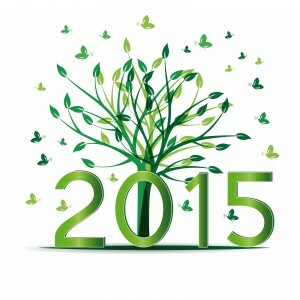 January begins with emphasis in your hose of health, where it remains for the entire year. Let your New Years resolution address health and fitness goals. Your health and strength are good during January, but be aware of how old habits come into play. February favors vacation travel. Communication with the very young or the elderly is excellent. During the remainder of February. A special animal companion provides comfort and company. Your daily work is rewarding and interesting. You will be thinking of how best to manage your time and resources. Needed materials and supplies can become available. Winters final days and the Sun in your sector of relationships provide dynamic and original individuals to impress you. Heard of “Beauty and the Beast?” Me too. But have you heard of “Beauty and the Intellectual?” Beauty and the intellectual is exactly what you get on the cusp of Virgo-Libra (Cusp of Beauty), with Virgo being ruled by Mercury (messenger of the gods, ruler of awareness, communication and intellect) and Libra being ruled by Venus (the Goddess of Love). There are two things to note about Venus before we can continue: (1.) Venus is actually the diurnal ruler of Libra, which basically means Librans have a tendency to be very outward in their expression of Venusian tendencies. Venus rules our sentiments, what we value, and the pleasure we take in life. Grace, charm, and beauty are all ruled by Venus. Through Venus we learn about our tastes, pleasures, artistic inclinations, hankerings, and what makes us happy. (2.) In Chaldean astrology each sign is broken down into decans (10 degree/day periods, approximately) and each decan has its own luminary as an influence, with three rulers per sign. Both the 3rd decan of Virgo and the first decan of Libra are ruled by Venus. So if you are born in the Cusp of Beauty, your Venusian qualities will have a tendency to be quite pronounced–you might even say you are a double-Venus. Date Range: September 19 to September 25. What they need: Virgo-Libra cuspers need to keep their lives in order and everything running smoothly and looking good in order to prevent anxiety. Taskmasters please raise your hand. From an outsider looking in perspective, this makes Virgo-Libra cuspers look like they have a vice-grip on control. If you live with one you probably have a chore list issued weekly and have to plan ahead of time to avoid the evil eye. Relationships: If you are in a relationship with a Virgo-Libra, they don’t want to be a priority per se, but you better be real skilled at making the relationship a priority. Strengths: Attractive, intellectual, communicative, artistic, social, sensuous. The sense of beauty comes out best when the Virgo-Libra cuspers are productive/creative–e.g., Bruce Springsteen. Weaknesses: Allergic to complacency, detached, perfectionist, nervous, strict. My father once told me that most perfectionists were fake, that they didn’t really care about being perfect, they were simply frightened of being wrong; fear of being wrong is not perfection. Virgo-Libra cuspers, on the other hand, are the real deal perfectionists. They get off on setting the bar at new heights and they view mistakes as learning material. What they love: Objects of beauty, including people, art, fashion, home furnishings, nature and any loveliness or finery you can look at, buy or attach to your being. Name of Cusp: The Cusp of Beauty. Cusp of Beauty Famous Personalities: Jimmy Fallon, Sophia Loren, Bill Murray, Stephen King, Scott Baio (Chachi), Patrick Breeding, Ray Charles, Mickey Rooney, Ani DiFranco, Joan Jett, Jeremy Irons, Ray Charles, Bruce Springsteen (the Boss) and the list goes on. Next month: Libra-Scorpio! Cusp of Drama & Criticism. Yikes. So here folks is my Fall overview with Astrology and the Tarot. This one of my more favorite times of the year due to the beautiful grace of nature. I can almost feel the brisk fall wind in my face. The sweet feel of a warm fire. Halloween is in this time of year and let me say I cannot wait! As in the last blog for each sign I’ve pulled a card to see how the fall will be for this particular sign. Don’t forget to leave a comment and tell me how close I’ve gotten for your sign! Aries – Ah, my passionate friend. You’ve gotten The Strength card. You’ll be needing a bit of courage and balance this fall. It’s time to work with that inner wild child to get yourself on track. The best way to balance is exercise. Take up Yoga or something that will connect the physical experience with not only the mental but the spiritual side of you. This will increase your inner power to help you through some possibly draining situations. However, I will offer one warning. Pick your battles wisely should anything get in your way this fall. Best way to avoid situations like this is by projecting compassion and taming your inner beast. You’ll make out better in the long run. Taurus – As the sign of stability i’m not overly surprised you’ve gotten the King of Cups for this fall. The king is an emotionally mature individual who is not only wise but an empathetic and understanding listener. There’s a calm in the features, so don’t think there is no emotion. When pulling a court card it will usually represent you as a person or someone you will encounter. Figuring out which one you are is another story. However if the king is you: You’ll be in emotional control this fall. You’ve got the wise answers and right now would make the best advisor or counselor. I would use this time to be there for others and focus on your family. If the king is someone you know: This fall will bring someone forward who is very caring and could make a wonderful husband or is a fatherly figure. Just remember that if they look detached or not emotionally there – look deeper. This person is very imaginative and will most likely enjoy art and beautiful things. Gemini – So my little twin. It looks like this fall will be quite a busy time for you. You’ve gotten the Six of Wands in reverse. This tends to mean there is difficulty in leadership roles for you. Someone is not doing their share of the work or perhaps your work quality is coming into question. As long as you are doing what you are suppose to be doing nothing will shake you. Just remember to amor up for some criticism and be prepared. This fall just repeat to yourself what doesn’t kill you makes you stronger. Try to take all feedback as best as you can by remembering that with your increased recognition will also come an increase of criticism. Remember you’re primary focus when you start things and make sure you follow through. Just as a side note. The six of wands reverse tends to come up when someone is using a position of leadership in an unethical or corrupt ways. So Gemini tread softly and thicken up your skin. Cancer – Oh my darling darling crab. You’ve pulled the Knight of Cups. The knight is a romantic and impulsive person. A dreamer with fickle feelings. This person is not one to think things through. When pulling a court card such as he knight of cups it will either represent you or someone around you. If you are the knight: Take a minute and think about things. You can’t keep going through life dreaming and never following through. Pay attention to the messages you are giving and the ones you are receiving. This fall will bring much excitement with some great opportunities. However, think things through. Don’t allow others to persuade you or discourage you and your dreams. If the knight is someone you know: This is a person who is in need of constant simulation. Intelligent and yet such a dreamer. Let them flow in a way they need and be as supportive as your nature allows. Leo – Leo my star so bright. You’ve gotten the Page of Pentacles for this fall. The page is a loyal friend who will try to provide much useful advice. We already know how loyal the lion can be with his friends so expect to be a bit more protective this fall. As a court card this card could represent you or someone you know. If you are the page: Often considered youthful either internally or externally. As a student you are thirsty in your want of new knowledge and have the work ethic to pull it through. But I plead that you take some time out in nature and really get the feel of it beneath your feet. Connect that inner Lion back to nature every once in a while this fall. It will boost your already stylish self and make you shine even brighter than normal. You never know there might be something in it for you! If the Page is someone you know: This is a great person in your life. Dependable, practical and loyal. They often times give you useful advice in efforts to help you and your situation. Often associated with the young. This person is either younger than you or has a youthful spirit. Virgo – So the good news Virgo is you’ve gotten the Ace of Pentacles. The bad news? It’s in Reverse. This fall you’ll cast that analytical eye towards your financial status. So on a serious note Virgo. The ace of pentacles in reverse isn’t as bad as one would think. This is more like a warning about choices and mostly spending too much time in a mental world. Energy is just escaping you and it’s causing quite a ruckus in your body. It’s because you need to connect back to the earth and stop focusing on the material world. Try a more whole foods diet, take some time to exercise and make sure you get plenty of sleep. This fall I would strongly suggest you think about your investment options. Don’t be afraid if you have the resources for a good investment. However, be mindful and steer clear of the unwise investments because they will lead to losses. Libra – Well the scales have certainly tipped. You’ve gotten the The Moon in Reverse. When pulling this card in reverse you’ve got to really think about the situation and what is going on. This fall will be exactly what you need IF you take a few risks. This card and position tend to indicate self deception and self defeat. And while escaping an unpleasant truth is easier than facing the problems. Face your fears and make this fall about growing opportunities. Just remember that everyone will have their own skewed perceptions of what the situation is. Let it go and go on an adventure. I know that comfort zone is rather safe but taking a risk here or there wouldn’t make or break you. Besides you might have a chance at the biggest rewards. Scorpio – So my little scorpions. It looks like I’ve pulled The Seven of Pentacles in Reverse for you. There seems to be something that you’ve been putting a lot of time to Scorpio. This fall you’ll see you’re not getting results like you had anticipated. But before you detach and focus on something else make sure you’ve gained the lessons learned from the errors you’ve made. Learning your lessons will not only prevent you making the same errors again but with everything that you learned it will contribute to your future successes. Sometimes when this card comes along in reverse it’s because you haven’t learned anything from past experiences and are repeating yourself. Break the cycle and pay more attention so that you can fix the mistakes and be an all around better you. Sagittarius – My dear friend Sag you’ve gotten the Four of Wands in Reverse. The four of wands is about a supportive home or could mean family gatherings. In reverse this may mean trouble in on the rise in one of these areas. Are you planning a family get together? This fall might not be the best time to do it. Also, don’t loose sight of why you are making plans if things get stressful. Do yourself a favor and walk away from the negative Nancy and don’t become one either! Trouble is coming to the home environment weather it be because you are drowning in chores around the house and not spending time with family or you are getting so caught up in rearranging things in the home that its allowing you to procrastinate on certain projects you need to get a move on with. Sometimes although very rarely this card in reverse could mean someone has a small victory they are keeping close to themselves. Nothing wrong with an internal right of passage celebrated in private. Capricorn – So my goat friend you’ve gotten the Queen of Swords. The queen is a very independent female energy. She’s mature and with clarity of thought that most would envy. And has the passion and desire to really push through and make things happen. Like i mentioned for the other signs. As a court card this card could represent you or someone you know. As the Queen: You are being very critical of yourself and you need to take the time to let up a bit on yourself. Through loss and sorrows you’ve learned many things and the situations of pain have increased your wisdom. However, learn a bit of tac this fall. Your truth can be a bit hurtful so figure out a way to not only be honest but kind as well. Nothing wrong with speaking the truth but be mindful of others feelings. If the Queen is someone you know: It could be a someone you see as a confidant and with a clarity that will bring new insights to the issues at hand. Maybe a new therapist? Or perhaps a new confidant with a fresh look at things. Either way look for the Queen if you haven’t already. Aquarius – Well my water-bearing friend. You’ve pulled the Ace of Swords in Reverse. This fall will be full of misunderstandings. Weather it be the situation or a person involved in a situation. Things will not be clear and you will most likely not have all the details. It could even be a person lying outright or involved in the deception. I wouldn’t suggest making any type of decisions in this type of situation. Confusion or you are simply mentally exhausted will be a constant thing this fall. So be prepared to withdrawal from any type of confirmation because lets be honest here. It will be overwhelming if you decide to just charge forward. This fall i would suggest walking away from a possible aggressive situation and be the bigger person. Don’t worry it’s not like you can’t come back to it. Just focus on yourself and leave the haters in the dust. Pisces – Ah my fishy friend. You’ve gotten the Wheel of Fortune card. This fall will be about changes and not having control over what life throws at you. Even though you are not able to control the way things are going you do have the power to react to the things going on. How you do will determine how your life path goes. Try not to be so defensive when change is introduced. There isn’t one way of being and the universe is trying to let you know that. Though the world can seems like it’s spinning out of control you need to stay calm and try your best to make the right decisions. This fall will bring about a change and it’s change for the better! So embrace it Pisces. As we reach the sixth position on the Zodiac chart we reach the sign that possesses a lot of wisdom with Virgo. 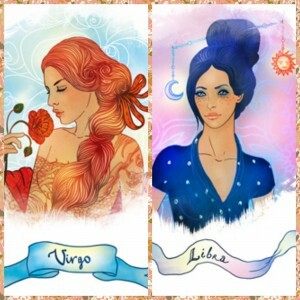 Virgo, or the virgin as they are symbolized because of their modesty and patience are very respected individuals. This is a sign that has very many different traits and I feel that the careers they would find happiness and find the most success in would definitely be broken down by where within the sign they were born; the decans of Virgo. What I mean is that there are strengths and weaknesses to Virgo, just like any other sign the difference is that with Virgo’s it seems like it is not as scattered and can be pinpointed by what kind of Virgo you are. For example anyone born between August 23 – September 2 tend to be more on the flamboyant side, very artistic and creative. Those born between September 3 – 12 are usually perfectionists and tend to be overcritical of themselves when it comes to getting things done to their own standards. Finally, September 13 – 22 are the health conscious people and the natural healers of the bunch. All Virgo’s possess the same general traits; they’re hard working, orderly, sensible and very careful when it comes to money. They’re very successful people. 1. For those Virgo’s born in the first decan and tend to be more creative and bold would be great in the arts. This is a wide field, yes, and that this side of Virgo needs- freedom to explore their creative side. These people have a unique way of looking at things and are very deep thinkers which leads me to believe they would make excellent writers. This could be novels, journalism, anything along those lines. Another choice for this side of Virgo would be designer or craftsman because it’s behind the scenes while showcasing your handy work for the world to admire. Again, putting the strengths of unique thinking, diligence, and over-all intense attention to small details that most people wouldn’t even think of would make them very successful in these fields. It’s those little bits of detail that make the art a masterpiece. 2. If you find yourself to be more of the super organized perfectionist side of Virgo (usually the second decan), a job that would give you just enough responsibility without overwhelming you would be an executive assistant. This part of Virgo shines when it comes to organization, planning, solving problems and sorting out details. They are good at taking orders from higher level people and like to have some sort of direction and then take full command from there. Scheduling, bookkeeping, money management, etc. might sound like mundane tasks to the everyday person but for Virgo’s these are things they are good at and enjoy doing. It gives them self-worth and they are very successful in fields like public relations, financial advisor, or human resources. Let me pause before rounding out with the last of career paths by saying that one of the best qualities of Virgo’s is their genuine need and want to help others. They are always willing to help out a friend in need or help raise awareness for a good cause. This is a sign that does not do well in leadership rolls but they are fully aware of that and they make up for it in small ways by word of mouth when it comes to important issues. 3. As stated above Virgo’s have great hearts in that they care for people’s well-being and they are born with the want to nurture, teach, and help things and people alike grow. This is especially true for the late Virgo’s. They are often very health conscious people as well and care a lot about nutrition and healthy lifestyle habits. When you mix these traits and the fact that they are very analytical, intelligent and patient these Virgo’s would be very successful and happy in the healthcare field. Doctor, nurse, nutritionist, holistic, etc… The need to feel like someone is being healed because of Virgo is all that matters to them. This is a ever-expanding field especially with holistic centers and different treatments being offered. As a Virgo choosing a career in this field doesn’t limit you to just one area. Virgo’s love the outdoors and being surrounded by nature; incorporate that into this field… teach a yoga class or Reiki healing out in a beautiful area. Help find natural remedies for common ailments. Virgo, there are so many possibilities out there for you. The world is yours for the taking. 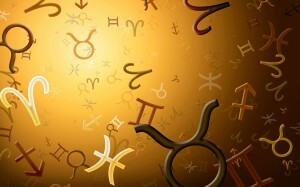 I bet you know your Sun sign–your Zodiac sign–and the Sun sign of your lover, your parents, your bestie, etc. And when someone new angers or excites you, you might even try and guess their sign. 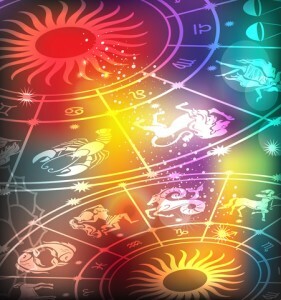 Your Zodiac sign, also known as your “Sun sign” or your “Star sign” is a quick and easy Astrology moniker for the position of the Sun at the time of your birth. But this sign may not be true to your nature, and the associated horoscope may not be very accurate for you. Haven’t you noticed how some folks are born in one sign yet emanate the attributes of the preceding or following Sign? It happens all the time. We are in a solar system in which all parts are moving; nothing is ever sitting still. This means the odds of being 100% of a given Sun sign are slim–you would have to know the exact time of your birth, and location of your birth, in order to determine if you were born at a particular zenith. Some people are born so close to that dividing line between Sun signs they delight us with their multiplicity. What I am referring to today are those delightful beings who are born in that colorful misty zone of when one sign tapers into the next sign, and their attributes and characteristics are filled with the verisimilitude of neighboring signs. The Cusp. You’ve heard it time and time again, “I was born on the Cusp.” And someone born so close to the border between signs seldom fails to delight us or confuse us with their mix of traits. For example, someone born on August 20th is a Leo but they are also within a day or two, respectively, of being Virgo. So which are they? It is hard to say; sort of like asking is 11:50am still morning or is it noon? Okay. Then by that rationale if you are 39 years young, and you are filling out a personal ad, are you in your 30s or your 40s? You see. So we call it the Cusp. And since this blog is posting right on the Leo/Virgo cusp, let’s dig a little deeper into Leo/Virgo. On the Leo side we see fire, the need to inspire, the hunger to create and light things up; a being who soars when they are the center of attention; a being who wants to win and who will never be complacent. Leos want to delight us and they want to be wanted. They are fiercely loyal and they spoil the ones they love. Some of the more dominantly Leo personalities of our time are Jennifer Lopez, Johnny Depp, Mick Jagger, Halle Berry, Madonna, Monica Lewinsky, Helen Mirren, Sandra Bullock, and last but not least, Barack Obama. On the Virgo side we see beings who are practical, reliable, acute attention to detail, and the waters run oh-so deep. Virgos are not afraid to dive in, analyze, and then report back the new parameters of perfection. Some of the more famous Virgos of our time are Sophia Loren, Patsy Cline, Leonard Cohen, Sean Connery, Mother Theresa, Leo Tolstoy, Mary Shelley, and so forth (the sign of Virgo is teaming with writers, by the way). So when a Leo is born close to the line between Leo and Virgo are they a Leo with Virgo traits and profluences (undercurrents)? Yep. Will a Virgo born close to the line between Leo and Virgo be a Virgo with Leo traits and profluences (undercurrents)? Yes! These Leo/Virgo and Virgo/Leo cusps often appear as the Obi Wan Kenobi type, the Yoda, the light-bearer who is insanely creative but prefers to use their godly faculties for uplifting humanity, creating a better world–e.g., Robert Redford, Robert Plant, Sean Penn, Amy Adams, Kirsten Wiig, Ray Bradbury, Bill Clinton, Kobe Bryant, HP Lovecraft, and so forth. Okay, you say, great! But when is a sign on the cusp and not on the cusp? Am I on a cusp? Western Astrology is based on two older Chaldean systems where each sign is divided into 10-degree arcs or periods called decanates or decans, with each sign having three decans. Each decan is equal to a 10-day period, respectively. I say respectively because, well, three decans for each sign equals 360 degrees and there are 365 days in a year–hence, some decans vary by a day or two from year to year. The cusp is when a Sun sign is in the last 5 degrees as it exits a sign, or the first 5 degrees as it enters a sign. This works out to be somewhere between the last 5 days of one Sun sign and the first 5 days of another Sun sign, e.g., August 16 we started the Leo/Virgo cusp. The Sun actually straddles both signs for a brief period. And if you were born on a cusp you know how it feels to be one sign and have the roaring traits and profluences of another sign. What does all this mean to you. The Sun sign generally influences your basic personality; it’s your ego, the self you present to the world that most people know. Being born on the cusp of two signs means you have influences from the two different Sun signs. How influential each sign may be depends on the actual time and place you were born. The closer you are to the moment of the transition, the more balanced the influence from the two different signs will be. The further you were born from the moment of transition, the more one sign will be dominant than the other. Next month we will discuss cusps further as they apply to Virgo and Libra. Are you an Aries, Leo, or Sagittarius and miss out on last weeks blog? No worries, You can check out the fire sign addition here. Taurus: Sweet and savory is what this sign looks for in a drink. Something they can sip on and just chill out and get a nice buzz going on is what this sign is all about. They like creativity too, cool looking garnishes or specialty customized looks are what draws them in initially and then it’s game on. Blend vanilla ice cream and assortment of alcohols in a blender. Pour in a glass. *Tip- You can add a scoop of coco powder to the mix or a teaspoon of chocolate syrup to the bottom of your glass before you pour in your mixture for a bit of extra deliciousness. 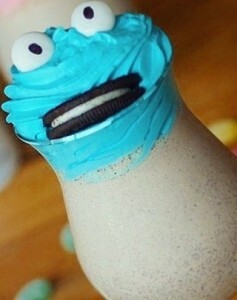 Top off the glass by decorating it with your cupcake icing, an Oreo, and mini marshmallows for the eyes. Blend French vanilla cream and chocolate vanilla ice cream in a blender until you get the consistency you desire. Take your glass, cover the entire rim of the glass with the chocolate cake frosting and then coat with crushed graham crackers. Take your Chocolate syrup and do a nice little (or big) whatever, swirl starting from inside the bottom of the glass and bring it up to the sides and then top it off by pouring in your vanilla marshmallow ice cream delight and enjoy the trip down memory lane that’s happening because you will feel like you are back at summer camp with the first sip. *Warning* This one is addicting!! Virgo: Virgos are hard workers and enjoy their downtime to the fullest. While they usually are content with just thawing on their most comfortable clothes after a long day and kicking their feet up in front of the TV or enjoying a good book with a cold (light) beer, they do like the occasional cocktail. They have particular taste when it comes to cocktails and tend to go for drinks mixed with light rums, gins, and bitters. Virgos are also pretty healthy people so this is why they stick to the lighter liquors and like drinks with fruits or natural juices. Take a shaker with ice, gin, Lillet, orange juice, and bitters, shake well and strain into a chilled glass of your choosing. Add your cherries and orange twist garnishes. First, cut a dozen thin slices of cucumber to use as garnish. Take the rest of the cucumbers and peel and chop them and place them into a food processor. Add the rosemary and then puree. Grab a fine mesh strainer (if you do not have one make do with what you have) set it over a medium sized bowl and then extract all the juices from the solids you have through the strainer into the bowl. After you’ve done the hard part, add your water, lemon juice, and agave syrup to your extracted cucumber juice and stir it together. When it’s all dissolved, pour into glasses filled with ice and garnish them with the sliced cucumber slices you put aside and the extra sprigs of rosemary. This is not only super healthy and detoxifies the body but it is super hydrating so it might seem like a lot of work but it really only takes about 15-20 minutes but it is SO worth it! Capricorn: Capricorns enjoy the classics. Drinks like Manhattans give them the feel of the sophistication with the twist of sweetness they can enjoy for a night on the town. During the hot summer months they enjoy the classic lemonades and punches. We took the best of both worlds and literally mixed them together. 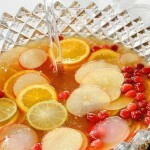 Fill a large punch bowl or pitcher with ice. Add bourbon, amaretto (or almond liqueur of choice), simple syrup, seltzer, Lemon juice, Sparkling apple juice, and mix together. *You can make the choice to add the lemon slices and cherries as garnishes to each individual serving or you can stir them into the mix itself. Honestly, either way would be delicious. Combine seltzer, raspberries, mint and raspberry-flavored syrup. Stir together in a large pitcher or punch bowl filled with ice. *Best served in chilled glasses with crushed ice. Just pour over crushed ice, grab a straw, garnish with some sprigs of fresh mint and relax and cool off. So as everyone knows I’ve been doing the learning the Tarot Cards blogs. It’s my first attempt at combining my two favorite subjects. Since summer is here I figured I would try something different. 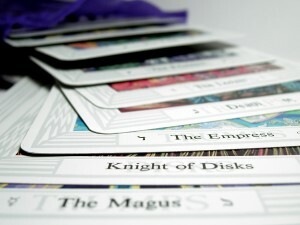 I’m going to combine my love of astrology with my love with the Tarot. For each sign I’ve pulled a card to see how summer will be for this particular sign. Don’t forget to leave a comment and tell me how close I’ve gotten for your sign! And of course have a wonderful summer! Aries – This sign is full of fire, passion and drive. For this sign I’ve pulled the Seven of Pentacles. This summer is going to be a test for this sign. The seven of pentacles is all about taking a pause and reevaluating everything going on in your life and see if you are going down the path of your desire. Are your goals matching the pace you are going? Is there something not going right? Now is the time Aries to take a much needed step back and really look at life and where it is you are going. You’ll make the proper adjustments as long as you keep a cool head. Taurus – This is the sign of stability. For this sign I’ve pulled the Death card in reverse. For this card to come up it usually means there’s something you’re not dealing with. It’s highly unusual for this sign to back down but with summer coming there could be this strong desire in this sign to just bypass the mess that lays a head. Don’t do it Taurus! Slow down take a moment to think things through like the steadfast soul you can be. You’ll need to fight that desire to just not deal with some messy things in your life. Realize what is stopping you from getting to your goals and work them through this summer. Gemini – This is the sign of duality. For this sign I’ve pulled the Two of Pentacles in reverse. This summer just can’t get here fast enough for young hearted Gemini. You could be feeling like productivity has been slow. You could just feel so weighed down by some emotional baggage that’s been lingering around. Or a combination of the both. If you’re feeling this way just take things one small thing at a time. By keeping busy you’ll find the emotional baggage starts to lighten. Alternatively you might find yourself taking on too much. Focus! Stay on track by again taking things little by little until you’ve finished your goals. Stop resisting change and make sure you are well prepared for anything this summer. Cancer – This is the sign of maternal feelings and home. For this sign I’ve pulled the Six of Pentacles. This summer will be about giving and taking. Cancer you have a tendency of holding things in. I would strongly suggest you learn to open up – even if it’s only a little. The Six of Pentacles shares the message of paying things forward. Don’t be too proud to accept a little help at times. Instead offer some help to another. Look for the balance when dealing with relationships. Are you not getting what you want? Maybe look at what you are offering. Leo – This sign is the shining star of the zodiac. For this sign I’ve pulled The Magician. We already know Leo’s are capable of handling tough situations. As well as the drive to make things happen. The Magician amplifies this. Leo this is the summer to jump forward with your dreams. Make your goals and really focus them because you’re going to make them bloom. There’s something behind you feeding your inner power. Use it wisely and use it to make your goals go forward this summer. Virgo – This is the sign of analytical thinking. For this sign I’ve pulled the Four of Cups in reverse. Summer is going to feel like you are getting nowhere. It’s quite possible you’ll get involved in some emotional stress. You may feel like you are on the verge of an emotional breakdown and masking your issues by pushing ahead anyway. Take some time and break away. If you find yourself getting involved in a sticky mess just remember it’s another way for you to emotionally grow. Withdrawal seems to be the key word for this card. So avoid withdrawing completely from what’s going on around you because there is a lessons to be learned this summer. Libra – This is the sign of balance. For this sign I’ve pulled the King of Pentacles. When you pull a card like this from the deck it usually represents someone you know, someone you could meet or even be you. So Libra be prepared for success to come into focus this summer. As the man you already know. Libra this gentlemen is here to help guide you with the luxuries your use to. As the man you will meet – Libra sensual passion is coming. He’s sensitive, great with money and a thoughtful lover. You as the King of Pentacles could just be pointing out your wonderful self. Fairness is a strong point and you do it so well. Be prepared to keep yourself together when others around you get crazy. Scorpio – This is the sign of intensity. For this sign I’ve pulled The Hierophant. You’ll be doing a bit of soul searching this summer Scorpio. Time to thinking about your beliefs and examine where you are in life. Are you being flexible or ridged as a stone wall? Is there something stopping you from teaching the world? With all this in mind here are some valuable questions. Are you living life by what is expected? Or are you listening to that higher calling within yourself? This summer is about thinking about your life and organizing your thoughts so that you can move forward. It might not happen right away, and could be nothing more than an afterthought. But either way Scorpio you will be doing some soul searching this summer. Sagittarius – This is the sign of adventure. For this sign I’ve pulled the Five of Pentacles. Summertime is when you’ll be feeling the heat in many ways. You’ll find yourself in a position where you are going without – willingly or unwillingly. Rest assured everyone around you knows the situation they feel it too. Pay attention and reach for the wealth of happiness. Remember you are not alone. Support and help is there. Ask and you shall receive. Capricorn – This is the sign of the serious thinker. For this sign I’ve pulled The Page of Pentacles in reverse. In the transition from spring into summer we see more of a chance to get out and just splurge. It’s that time of the year were we tend to slack off a bit. The page of pentacles, even in reverse, still could represent a young man or youthful figure. It could be someone you know, someone who comes in to your life or it could be talking about you. The page in this reverse position tends to mean immaturity. Capricorn, you usually have yourself together. BUT as a precaution I would start budgeting, getting focused, and be practical about the steps you are treading. Don’t let someone take you down in a spiral. Even if they are cute. Aquarius – This is the sign of the independent. For this sign I’ve pulled the Four of pentacles. The four of pentacles tends to deal with security and control. I mean look at the card and you see a man claiming every pentacle (Traditional AE Waite deck). This summer Aquarius, you’ll be planted very firmly on your feet. You’re secure in your position and you’re not going to chance losing it now. Security is valuable but sometimes cleaning out a closet or two won’t hurt either. Change it up a bit. You’ll feel better for it. Just don’t go crazy and ruin the foundation you created. Pisces – This is the sign of the artist. For this sign I’ve pulled the Seven of Cups. How like Pisces to come up with this card. The seven of cups is the card of choices and fantasies. Pisces, I suggest you figure out what it is you want and start voicing that opinion. Really focus on the reality and keep your head out of the clouds. I know it’s hard for you but if you want your summer to be the dream you see now. I suggest you start the process of making that reality. If you have the choice to reach for your dreams then why not focus on attaining them? As hard as it is put the fantasy aside because there are better things to be had. Don’t waste your time because you could lose out on something really worth it this summer.